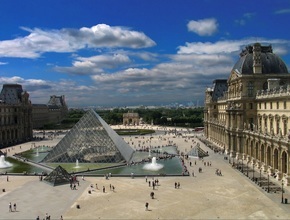 Luxury Escorted Paris Day Trip - includes guided tour of Le Louvre and Champagne lunch on the Eiffel Tower. 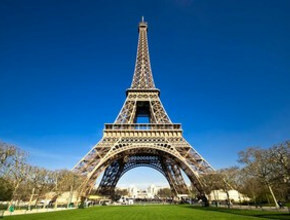 Discover Paris at your leisure with our best value Paris trip. Upon arrival at St Pancras International you will be met by our staff who will help you check in, and present you with your Paris travel pack. The pack has been designed to help you make the most of your time and includes Eurostar train tickets with reserved seating and a map of Paris including public transportation information. 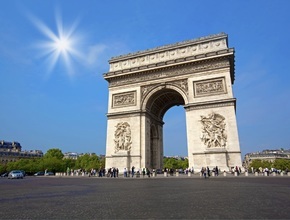 A Seine river cruise ticket is also included so why not take a romantic cruise on the River Seine that boasts spectacular views of Notre Dame, Musee D'Orsay and Place de la Concorde. Paris is home to some of the finest shopping in the world. One of the leading and most exclusive department stores is Galeries Lafayette that offers a cross section of designer clothing, jewellery and beauty products. Premium Tours are proud to have teamed up with the store in order to offer you a Galeries Lafayette Pass that entitles you to some great discounts. With up to 10% off luxury goods why not take advantage of some Parisien retail therapy at affordable prices? The store is located near the centre of Paris and a short cab ride away from Gare du Nord. Kindly please note that check-in time on Saturdays is at 06:30am. Train departs at 07:52am. Once booked, we are not able to cancel your booking and as such cannot offer you a refund, cancellation or amendment. Due To Eurostar requirements, only children between the ages of 4 - 11 years old inclusive qualify for a child fare. You are required to carry a valid passport with you Please check your visa requirements before you travel. Premium Tours will have no liability if Eurostar trains are delayed for unforeseen circumstances such as security alerts, third party action or bad weather as this is beyond our control. In such cases, please contact Eurostar directly to discuss any compensation that may be due. 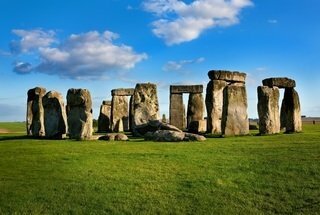 We are the highest rated London tour operator on third-party review sites.